Posted by Carlos Ruiz on Friday, December 22, 2017 in Archive, News. Many of us have found ourselves face-to-face with an unexpected event in our lives that results in financial hardship. For some, this may be a housing displacement due to flooding, domestic problems or the discovery of an environmental health hazard such as mold. For others, it may be related to an accident or sudden illness of a loved one that requires them to take unpaid leave or cover burial expenses. These are real examples of hardship that have been alleviated by awards from the Vanderbilt Employee Hardship Fund, managed by Jim Kendall, Manager of Work-Life Connections. The fund does not support people that are living beyond their means but, rather, helps them cover expenses due to a temporary and unexpected situation that puts them and their family in an insurmountable financial predicament. The fund is primarily supported by the same people that it serves — employees of both the university and the medical center. Its income comes from direct contributions, payroll deduction, ink cartridge recycling and the Kroger Community Rewards Program which allows shoppers to support the Hardship Fund at no extra cost to themselves and without sacrificing any in-store discounts or gas points. Applications are reviewed anonymously by a committee made up of volunteers from the Vanderbilt community. In 2016, 8 awards were granted along with 23 gift cards for purchasing groceries. So far, for 2017, 13 awards have been granted along with 16 gift cards. The fund has been serving Vanderbilt employees since it was established in 1994, however, community participation has always been key to its sustainability. “If each employee were to donate one or two dollars each year that would be enough to maintain the fund” says Kendall. 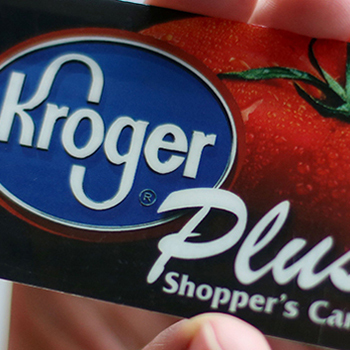 Are you a Kroger shopper? With a couple simple steps, you can give to the Employee Hardship fund! A percentage of your purchases go to the Employee Hardship fund. Sign up or renew your membership on the USAC website.